Here’s a plan for an airport built out into the sea at Spanish Banks, with a proposed airfield and mooring mast for airships (this was before the Hindenburg disaster), a 20,000-seat stadium, night lights, winter gardens, swimming pool, and a children’s protected swimming channel. 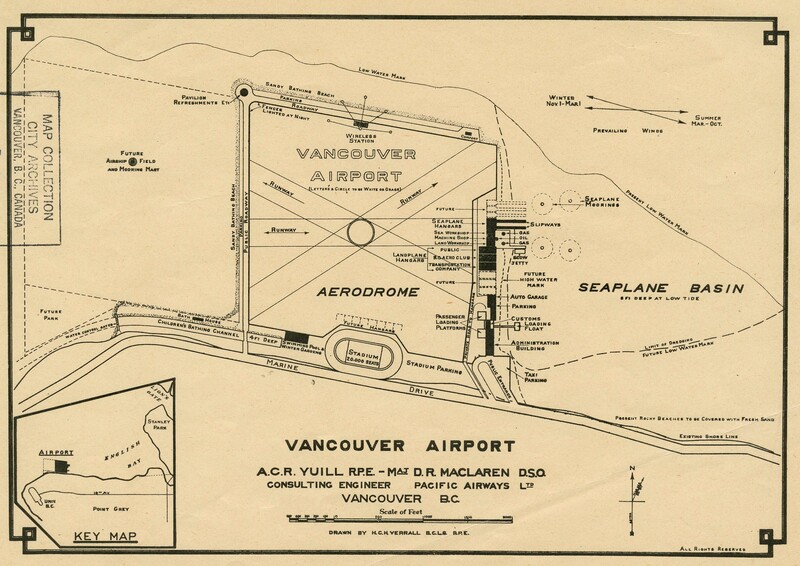 Vancouver airport plan, 1928. Detail from reference code AM1594-: MAP 377-: 1972-568.2. 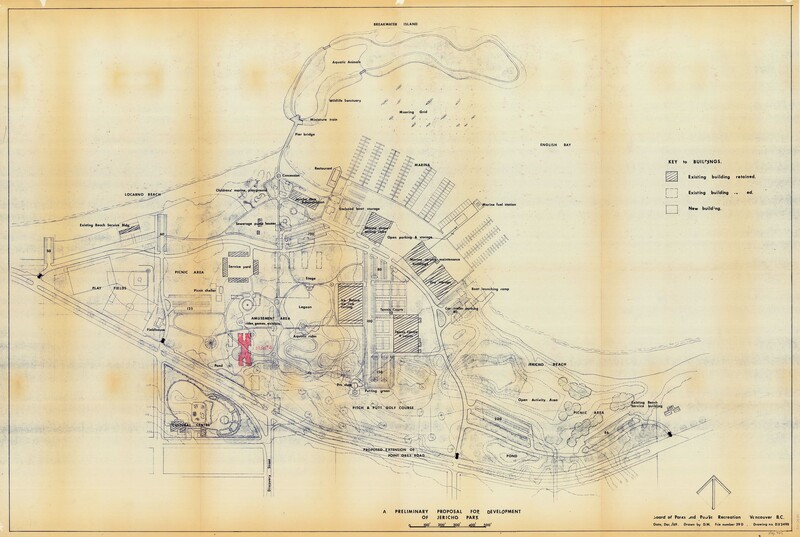 Here’s a 1969 plan for Jericho Park which includes an ice palace, miniature train and tennis. A preliminary proposal for development of Jericho Park, 1969. Reference code AM1594-: MAP 965. 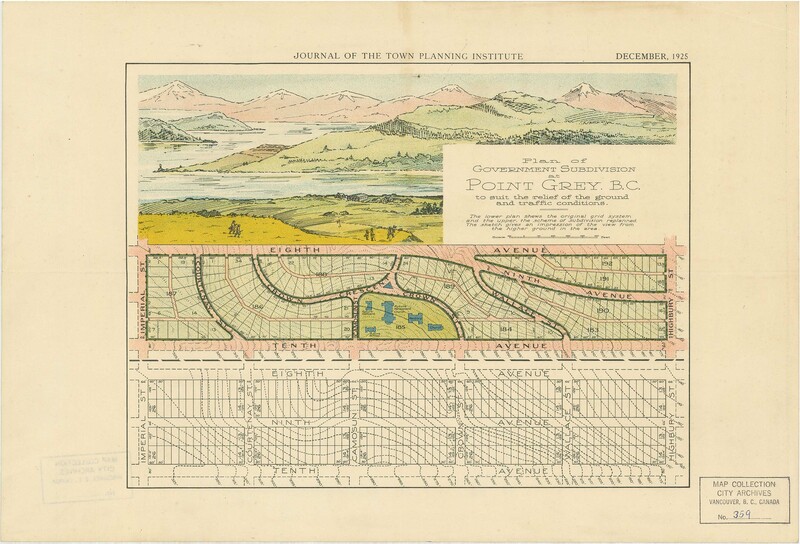 We have a number of plans that show the development of Vancouver’s water works. This one shows proposed extensions and improvements, including reservoirs in Stanley Park and Little Mountain. Here’s a detail of one section. Note that False Creek still extends well past Main Street at this time, and the City of Vancouver does not go further south than 16th Avenue. 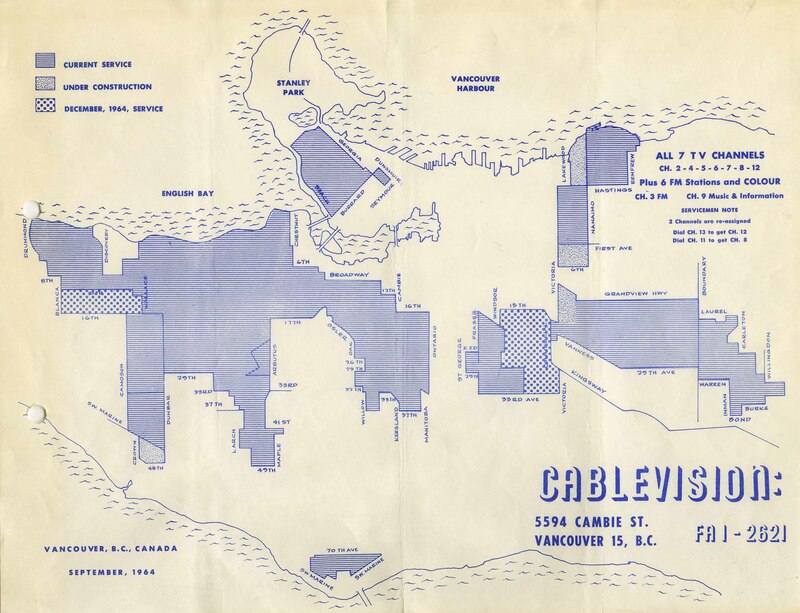 This map shows which businesses were operating on False Creek and where, in 1952. This image is a detail from the Main Street end of the Creek. 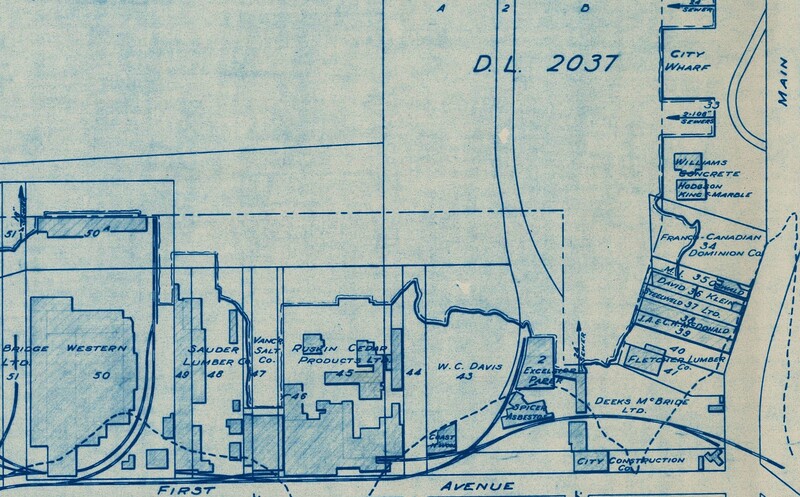 False Creek development survey occupation plan, September 1952. Reference code AM738-F1-: MAP 913. You can see how the City used land in 1984. 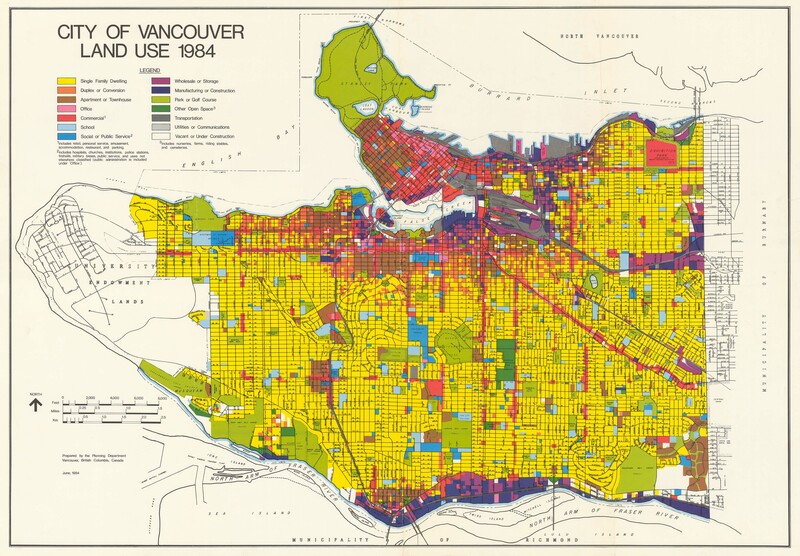 City of Vancouver Land Use 1984, published by City of Vancouver Planning Department. Reference code PUB-: PD 1984. 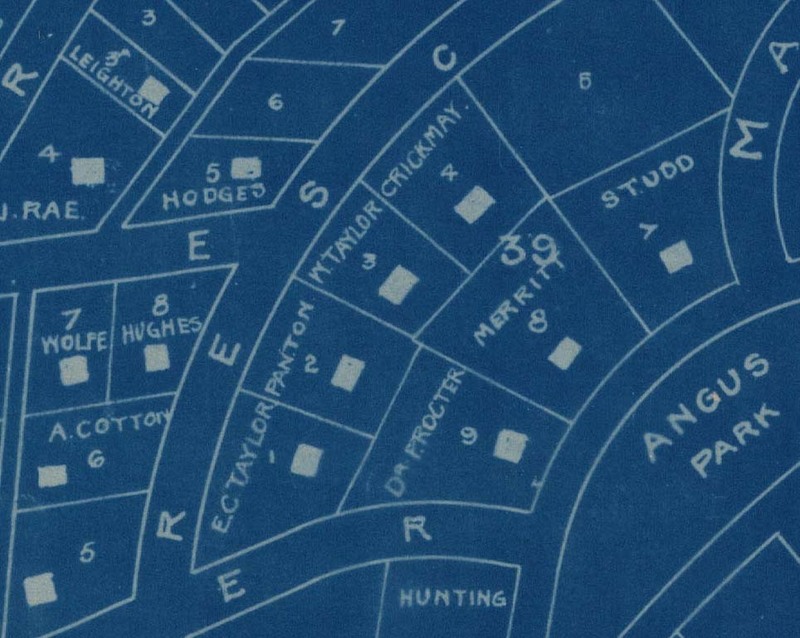 Map of Shaughnessy Heights, 1912. Detail of reference code AM641-S8-: LEG1363.01. 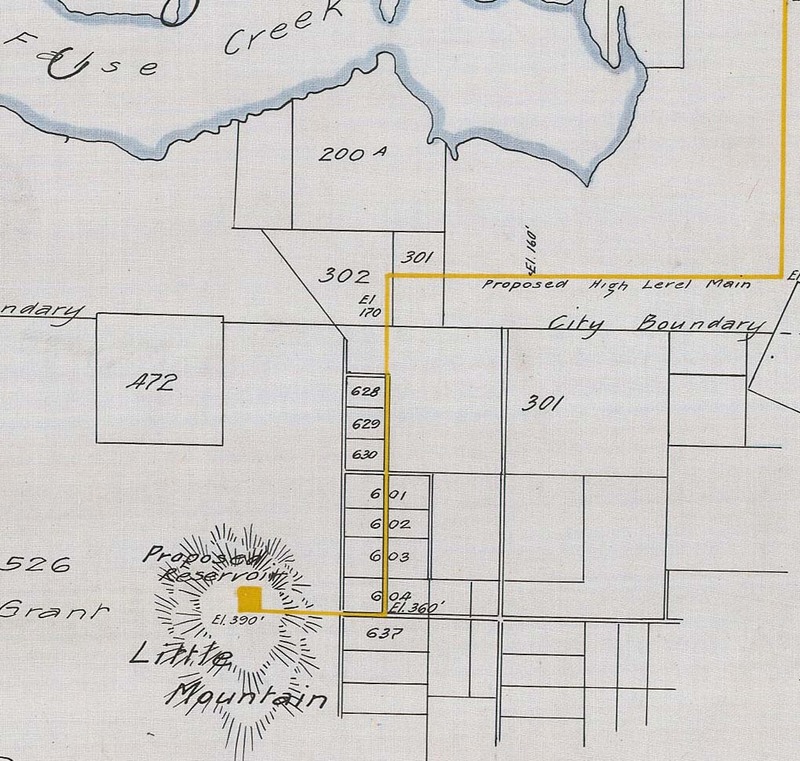 We’ve digitized some of the non-map materials that go with the maps. For example, on the other side of a map of Greater Vancouver in 1911, there is “What the man who comes to Vancouver wants to know”, listing hotels and room rates, the first-class (and merely good) restaurants, tea rooms, clubs, theatres and the baseball schedule for the Vancouver Beavers. 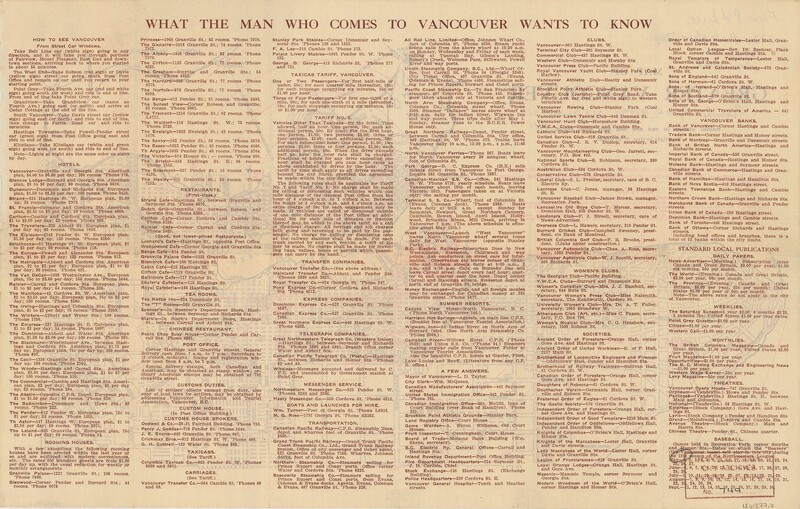 “What the man who comes to Vancouver wants to know”, 1911. Reference code AM1594-: MAP 749-: LEG1277.7. In the coming weeks, we will make the maps available as TIF files, as we have for our other maps. Please let us know how you are using these maps and plans! This digitization project was made possible by funding from the British Columbia History Digitization Program at the Irving K. Barber Learning Centre, University of British Columbia. This entry was posted in Digitization, Holdings and tagged maps, urban planning. Bookmark the permalink. That’s great to see that more maps are being provided digitally. I am a big fan of maps for some reason, so this is much appreciated. I find it fascinating to see how cities were shaped and even re-shaped at times. Thanks for sharing this.